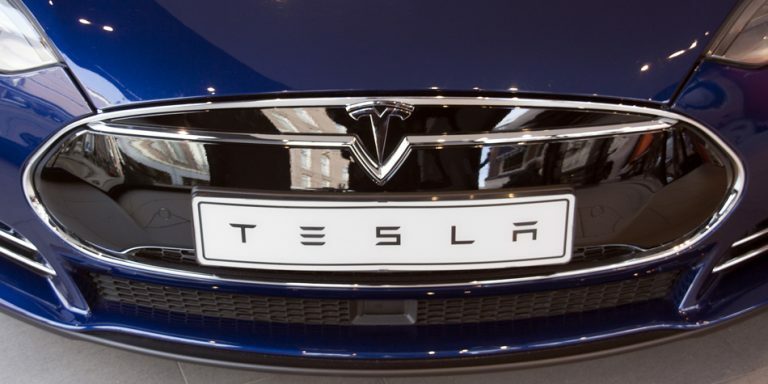 The glory days for Tesla (NASDAQ:TSLA) may be approaching an end. For the last few years, the company enjoyed strong sales with barely any advertising. The stock market and Tesla customers and adherents admired CEO Elon Musk for the advancements he brought to the electric vehicle market. That translated to a lot of positive sentiment for TSLA stock. But the positive momentum is shifting. The end of subsidies to Tesla buyers, slow sales in China and supply constraints are hurting 2019 sales. Plus, shares of fossil-fuel based automobile makers are rebounding. Investors may have rotated out of their Tesla holdings and into General Motors Company (NYSE:GM) or Ford Motor Company (NYSE:F), both of which are up over 15% year to date. All of these negative developments may send TSLA stock to new lows in the coming weeks. The EV subsidy in the U.S. is the risk of getting abolished immediately if U.S. President Donald Trump has his way. Congress is trying to change that by drafting a law that would extend the tax rebates. Currently, Tesla and GM both exceeded the current limit of 200,000 subsidized EV. Congress wants the limit increased to 400,000, giving buyers a tax credit worth $7,000. So far, markets are not betting the government will pass a subsidy extension. Shares of Tesla have already fallen 18% in 2019. And with 23% of the share float short, many investors seem to believe its underperformance could accelerate. Tesla announced a Model Y on March 14, an event that would have sent the stock higher in past years. This time, markets did not care much for this crossover model — the stock price certainly didn’t celebrate. This is despite the fact that the crossover and SUV segment is the hottest sector in the automotive space. Instead, market participants seem to dwell on how the company failed to live up to the Model 3 promises. The Model 3 was supposed to come out on time, sell for $30,000 on average and get produced in sufficient numbers to meet demand. Instead, the car has been plagued with output and deliveries struggles. Logistically, if Tesla has Model 3 production issues, where will Model Y production take place? With premium brands like BMW, Mercedes-Benz and Audi vying for market share in the CUV space, the Model Y will compete with Audi e-Tron, BMW iNEXT, and Mercedes-Benz EQ. Jaguar’s I-PACE has at least three configurations for consumers to choose from. This may help explain TSLA stock’s slowing unit sales, and slowing unit sales hurt cash flow, which Tesla needs to service its debt. Its debt/equity ratio currently stands at 2.4x. This is still better than GM’s, at 2.7 times, or Ford, at 4.3 times. But the difference between it and GM or Ford is that the latter has plenty of revenue and strong cash flows. TSLA stock trades at 24 times FCF, compared to 8.6x for Ford and 13x for GM stock. Despite the elevated debt levels, liquidity is a remote concern at this time because Tesla may sell shares or debt on the open market. Historically, demand for either is strong, so investors need not worry about its liquidity at this time. Besides, even though sequential unit sales slowed, year-over-year sales are still up 110% (63,000 deliveries, compared to 29,000 the year before). Tesla is trading not far from the analyst consensus estimate of $297 a share, or 11.6% below the price target. Bullish investors could use a 10-year DCF revenue exit model (finbox.io) to number crunch a fair value. This model values the company to the future cash flow, discounted back to present value. By assuming a growth rate of 25% annually in that time period, the stock’s fair value is around $410. Tesla is approaching its 52-week low and could fall further after its May 1 earnings report. Short-sellers could get squeezed if sales in the quarter are better than thought, however. Therefore, it’s smartest to wait until after the report before establishing a bet against this stock. As of this writing, Chris Lau owned shares of Ford Motor Company. 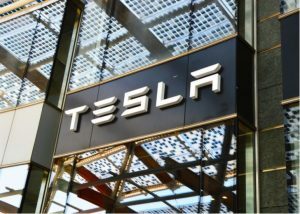 Article printed from InvestorPlace Media, https://investorplace.com/2019/04/why-tesla-stock-tsla-is-headed-to-new-lows-next/.